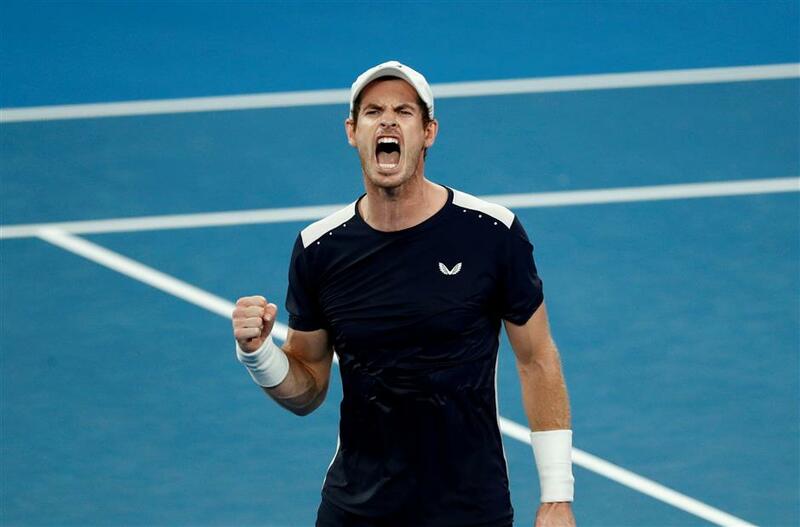 Britain's Andy Murray reacts during his Australian Open first-round match against Spain's Roberto Bautista Agut in Melbourne in this January 14, 2019, photo. The three-time major champion posted a message on Tuesday on Instagram saying that he had the surgery in London on Monday. What's not known with any certainty yet is what this might mean for the 31-year-old Murray's future in tennis. Before the Australian Open, where he lost in the first round on January 14, Murray said that he planned to retire at some point in 2019 — and that it was possible that Grand Slam tournament might be the final event of his career. He is most famous for ending Britain's 77-year wait for a male champion at Wimbledon in 2013; he also won the 2016 title there, along with the 2012 US Open and two Olympic singles gold medals and a Davis Cup, while reaching No. 1 in the rankings. Tuesday's post included two pictures — one of Murray in a hospital bed, the other of an X-ray. "I now have a metal hip as you can see," Murray wrote, before showing that his sense of humor is intact by adding, "and I look like I've got a bit of a gut." "I have an option to have another operation, which is a little bit more kind of severe than what I've had before — having my hip resurfaced, which will allow me to have a better quality of life and be out of pain. That's something that I'm seriously considering right now," he said at the time. "Some athletes have had that and have gone back to competing. But there's obviously no guarantees with that. The reason for having an operation like that is not to return to professional sports, you know, it's just for a better quality of life." "He's been watching me like a hawk, asking me how I'm feeling after matches, after practices, where I'm at. He's just trying to gauge how long it would take him, if this procedure is an option," Bryan said about Murray. "I'm just trying to be supportive. I never once told him, 'This is the way to go,' because I do see that singles is a different monster. Those guys are really sliding around, killing themselves for four hours. Who knows if this joint would hold up?"